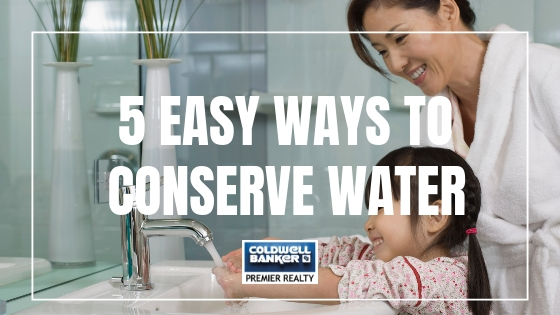 5 Easy Ways For You To Conserve Water In Las Vegas. In the March edition of our Las Vegas market update, we reviewed the 10-part series from the Las Vegas Review Journal entitled "The Water Question." The Water Question series takes a hard look at the Colorado River water supply, asking questions like, "Is the river on life support?" and "How bad is it?" While articles like this are meant to inform and not alarm, it reminds us how important water conservation is. The Las Vegas Water Authority shared their Water Resource Plan last year, ensuring their conservation efforts for the next 50 years, but we know that there is so much more we can do to conserve! Here are five of our favorite tips you can do every day to conserve this valuable resource. Water at night. In the summertime, water your yard between midnight and sunrise to minimize water evaporation. Use every drop. Re-purposing water can make a huge difference. While you wait for hot water, collect cold water in a watering can or save old pasta water for watering your indoor plants. Give rewards. Teach kids the importance of turning off the sink and conserving water. Reward them for their conservation efforts. Quick showers. Everyone loves a long shower, but just cutting your shower time by two minutes can save up to six gallons of water. Make it fun by creating a playlist on Spotify of your favorite songs that get you pumped up for the day, and try to match your shower length. Switch it off. Switching the water off while you brush your teeth can save eight gallons of water per day. With a family of four, that is 32 gallons a day! Are you savvy when it comes to conserving water? Let us know your favorite tips in the comments below!